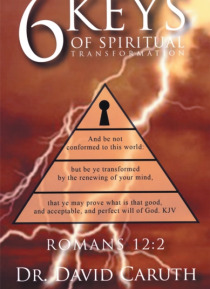 Spiritual Transformation is a scripture-based process of healing that ordinary people can use to transform their thinking, and renew their minds. What transforms are the psycho-cultural assumptions that distort the way people see themselves. Use the 6 Keys to enhance your understanding of the Law of Spiritual Transformation, and empower people to live more prosperous lives.